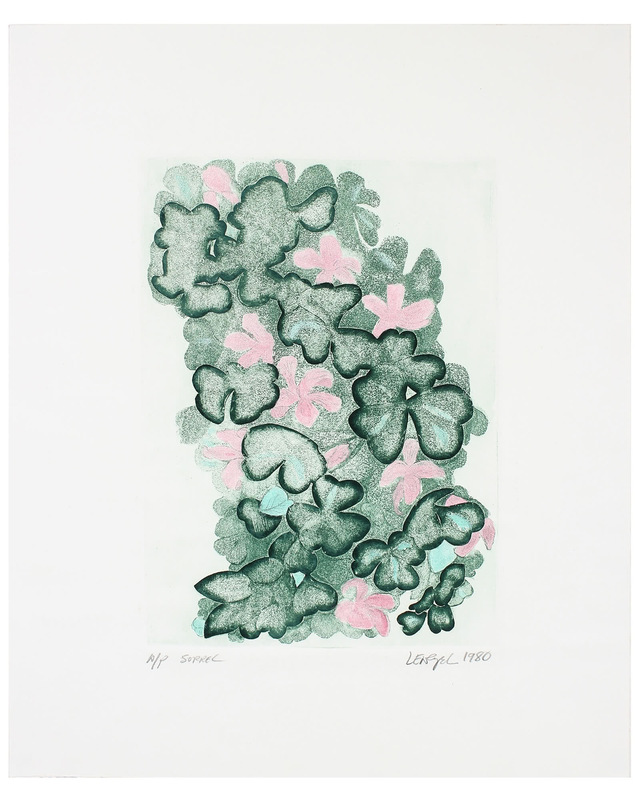 "California Sorrel Etching" by Laura Lengyel&quot;California Sorrel Etching&quot; by Laura Lengyel, alt="&quot;California Sorrel Etching&quot; by Laura Lengyel, "
Entitled "Sorrel" this 1980 etching on paper still life is by Bay Area painter and sculptor Laura Lengyel (b. 1946). She studied at Oakland’s Mills College and later moved to Mendocino. From 1968-1973, Lengyel operated Gallery West, Mendocino’s first art gallery. Lengyel continued her education at Humboldt State University, CCAC, Mendocino Art Center, and College of the Redwoods. In 1980, Lengyel organized The Artist Models Association, which trained artist models and managed their job bookings. From 1979 to 1980, Lengyel apprenticed with sculptor Spero Anargyros in his San Francisco studio. Lengyel lives in the Bay Area. Signed, titled and dated on the bottom. Unframed, shipped in an archival mat sized to fit a standard frame. Overall Dimensions: 14" x 17.5"